James Tytler ( b. 1948) was born in Aberdeen, Scotland. James studied at Grey’s School of Art, Aberdeen. After graduating, he taught art and design to secondary school students around the country. In 1978, he left teaching with the ambition of becoming a full time artist. Having experimented with different techniques he soon specialised in the soft medium of pastels. James was mainly influenced by the great Victorian painters with his home city having a particularly fine selection of Pre-Raphaelite and Glasgow School paintings. His images draw us into the nostalgia of childhood fun, games and lazy summer afternoons. These gentle countryside studies with their warm pastel hues perfectly complement an already outstanding collection. 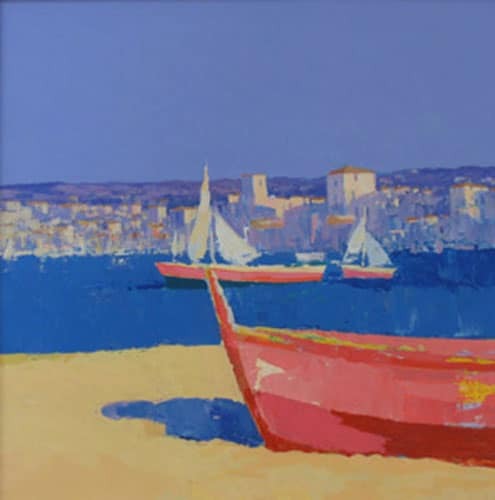 More recently James has again started painting images of the South of France and Provence in oils and acrylic which are especially popular and becoming very collectable. In contrast to his pastels his latest pieces are full of strong vibrant colours. The increased demand for his work over the last ten years has led to many of his pieces being published as limited edition prints.